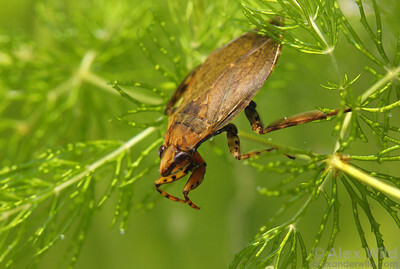 The insect order Hemiptera is an abundant and diverse assemblage that includes hoppers, cicadas, aphids, scale insects, and others. 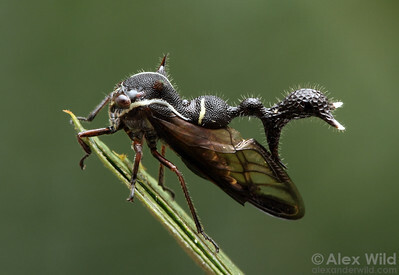 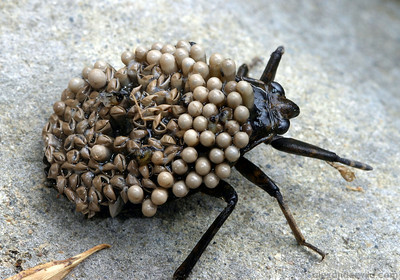 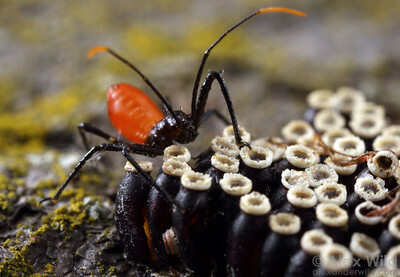 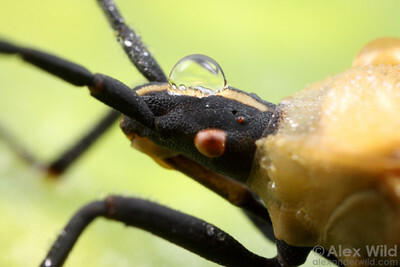 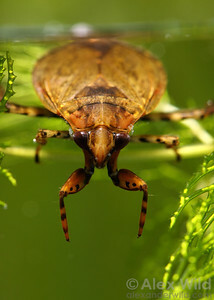 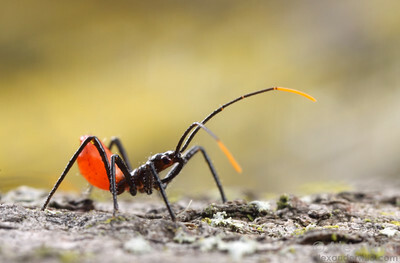 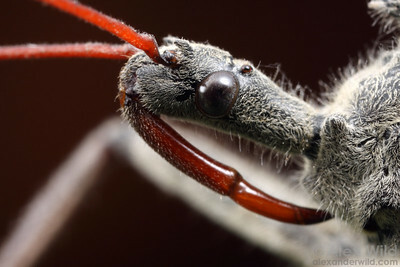 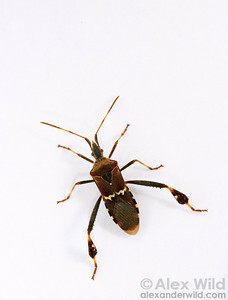 These insects have beak-like mouthparts specialized for piercing/sucking. 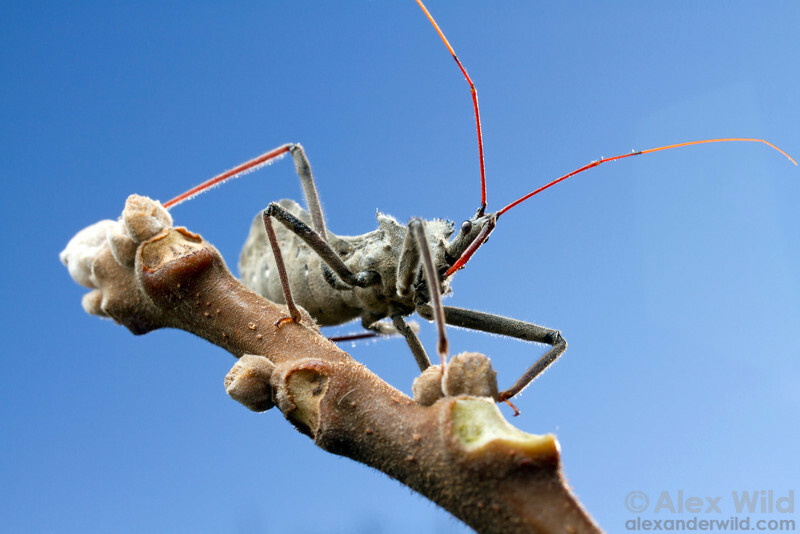 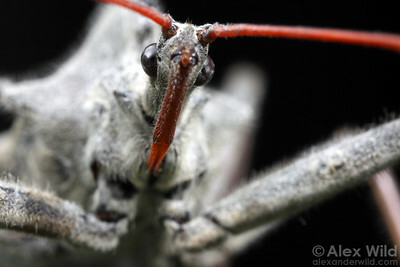 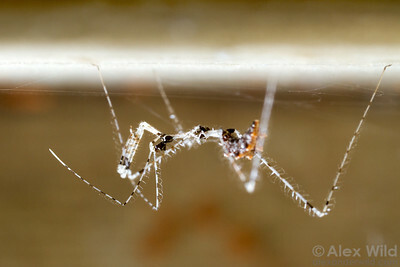 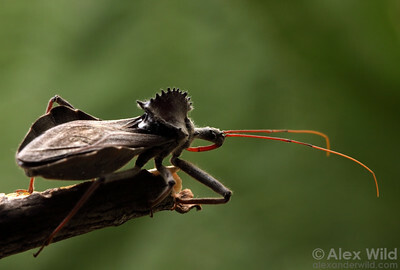 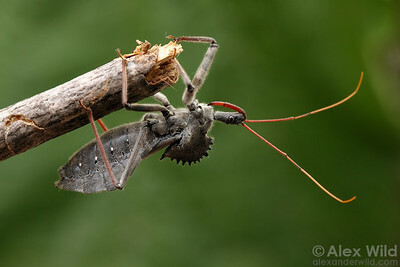 A wheel bug nymph feeds from a long-jawed orb weaver it has caught. 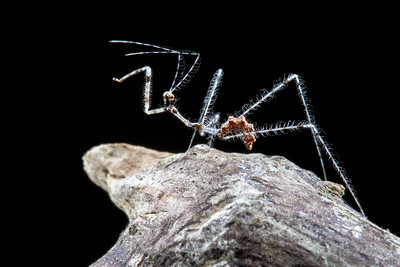 Austin, Texas, USA.